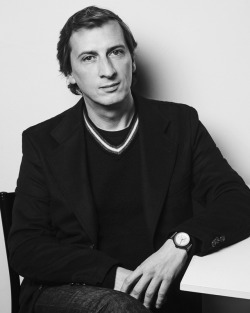 Martin Polak. Provided by Karen LaMonte. The Corning Museum of Glass (CMoG) and Corning Incorporated (NYSE: GLW) announced today their selection of Karen LaMonte as the Specialty Glass Artist-in-Residence in 2018. The residency is a joint program of the Museum and Corning that gives the selected artist access to specialty glass materials, scientists, and curators to experiment and explore new areas of their practice. LaMonte is the fifth specialty glass resident since the program’s inception in 2014. Her residency will begin on January 1 and will continue through the end of the year. 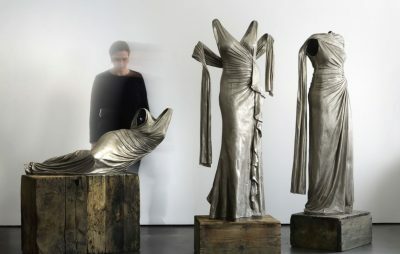 LaMonte is best known for her life-sized, ethereal glass dresses, which she casts in the Czech Republic, using the lost wax casting method. Her work employs translucent glass to show the division between our private selves and public personas, shaped by cultural and societal influences. She uses clothing as a metaphor for identity and to explore the human form in absentia. funds from the Ennion Society. 2016.3.2.
white bronze, and cast glass. Photography: Martin Polak. LaMonte holds a B.F.A. from Rhode Island School of Design, and did postgraduate study at the Academy of Art, Architecture, and Design in Prague. 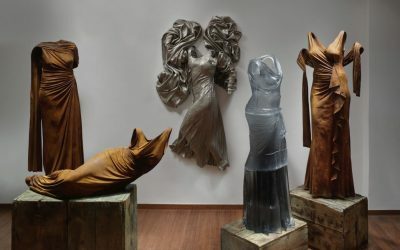 She has received many awards for her work, including the Fulbright Grant (1999-2000) to cast sculpture in the Czech Republic and the Louis Comfort Tiffany Foundation Biennial Award (2001) in recognition of her investigation of clothing as a divider between public and private space, and of transparency and transience. 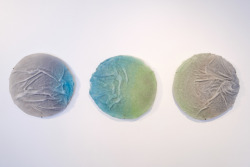 She has held many previous residencies, including the joint Kohler Arts Center and The Corning Museum of Glass residency (2009) for working with ceramic and glass. She also spent seven months working in Japan, after receiving the Creative Artists Exchange Fellowship (2006) from the Japan-United States Friendship Commission and the National Endowment for the Arts. During this time, she studied the kimono to better understand the Japanese use of clothing as social language. Today, LaMonte lives in the Czech Republic, and in addition to glass, works in other materials including ceramic, marble, iron, and bronze to monotype prints. 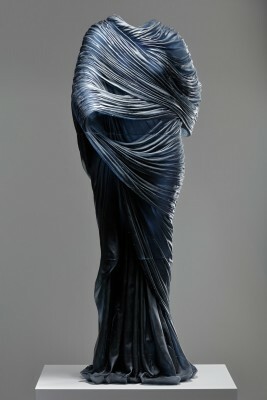 Her work is in the permanent collections of museums across the United States, including The Corning Museum of Glass, as well as in Europe and Australia. Corning Incorporated, which has developed and patented many specialty glass formulations over the past century of research in glass, provides the resident artist access to a variety of glass materials and to staff having technical expertise in glass formulation, melting and forming. 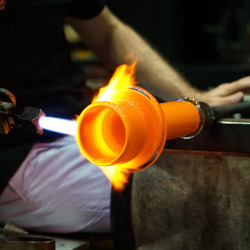 The Corning Museum of Glass provides access to its extensive resources, including its glassmaking facilities, collection, and the Rakow Research Library. The resident artist works closely with the Museum’s glassmakers, research scientist, curators, and other staff to better understand glass and its historical and artistic contexts. LaMonte is the fifth artist to take part in the residency, which is by invitation only, following metal sculptor, Albert Paley (2014-2015), and glass artists Tom Patti (2015), Toots Zynsky (2016) and Anna Mlasowsky (2016). Corning (www.corning.com) is one of the world’s leading innovators in materials science, with a 166-year track record of life-changing inventions. Corning applies its unparalleled expertise in glass science, ceramics science, and optical physics along with its deep manufacturing and engineering capabilities to develop category-defining products that transform industries and enhance people’s lives. Corning succeeds through sustained investment in RD&E, a unique combination of material and process innovation, and deep, trust-based relationships with customers who are global leaders in their industries.